I’m running a competition over on the Facebook page at the moment! There are 2 prizes of a Bobble BPA-Free Water Bottle. Closing date for entries is 11.59pm GMT on 25th February 2018. 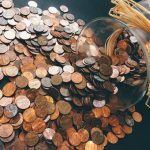 Entrants must like & leave a comment on the Facebook promotional post at https://www.facebook.com/mymoneycottage1/ with their top money-saving tip – one comment per person. The prize will be emailed within 7 days of the winner confirming their address. The promoter is My Money Cottage. 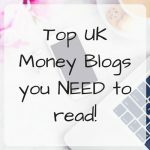 Top UK Money Blogs you NEED to read!